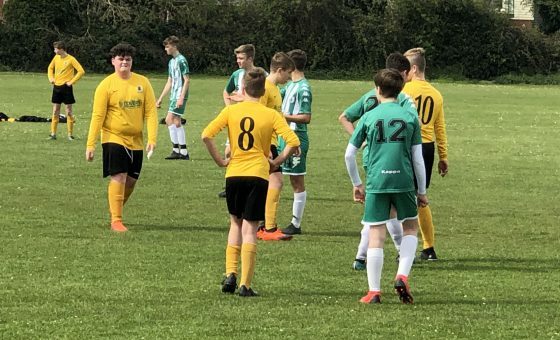 After the first team moved into the promotion play-off places following Saturday’s 4-0 defeat of Whitstable Town, it was the turn of the club’s youngsters to take centre stage yesterday with two of our sides looking to secure their places in next year’s cup finals, and they didn’t disappoint! The U12s were involved in a seven goal thriller down at Palatine Road where they edged out hosts Worthing United Colts 4-3, thanks to a late penalty from Luke York. The Hornets led 2-0 through goals from Stanley Hague and Markos Panoutsos, with Markos seeing a third goal ruled out for offside, before Worthing staged a spectacular second half comeback to go 3-2 up. With the final whistle looming, Bailey Moyo levelled the scores and then, in a dramatic late twist, the referee awarded Horsham a spot-kick that was successfully converted by the nerveless Luke to put the Hornets through to a League Cup final date with Worthing Town Blue next March. 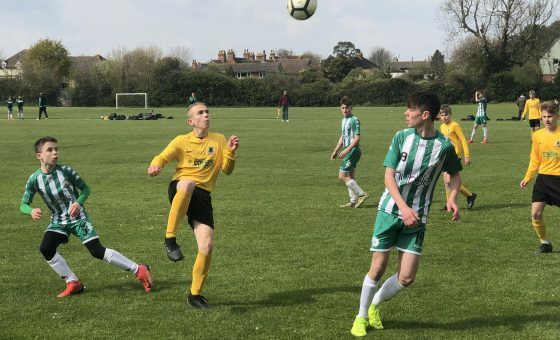 U14 Amber were also down in Worthing in cup action as they took on local side Worthing Town Red for a place in the final of the League Cup. 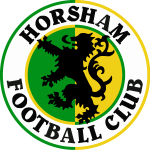 Horsham started well in muddy and windy conditions, and on a small pitch, and went on to dominate the match with some nice one-touch football that was good to watch. They kept Worthing quiet and rarely gave them a sight of goal, with the excellent Sammy Henderson not letting them have a sniff. Max Warren and Max Morris were on the scoresheet to give the Hornets a place in next year’s final and keep their unbeaten run going as they head towards the Christmas break. 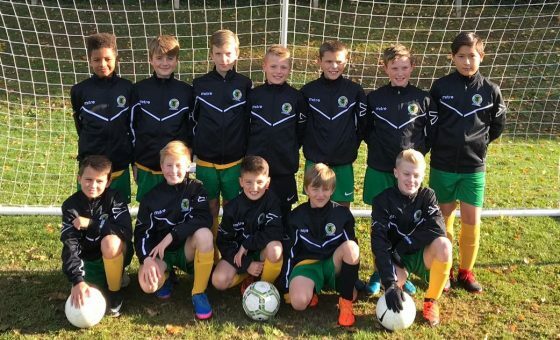 The matches involving the U11s and U13s were postponed while U14 Green were without a fixture.